We are always looking for ways to help you save time and improve Teachworks Features. This is why we have created the Change Log. 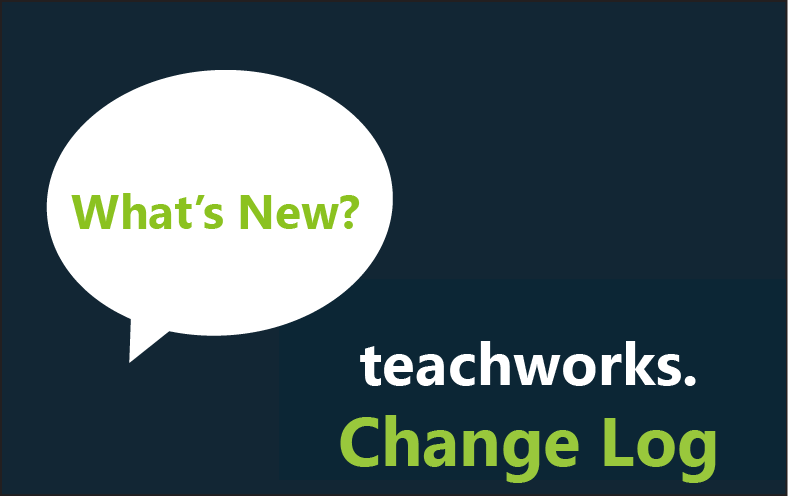 The Change Log will be incorporated in your Teachworks account under the Account & Settings tab and it will be used to display the most recent updates, changes, and added Teachworks features. We are constantly making changes and adding new features to our software, we don’t want you to miss an opportunity to identify any features added that could be of use to you. You will be able to search the Change Log for any recent feature additions and changes. For example: if you suggested the addition of a “Conversion Feature” that allows you convert independent students to families. You can go into the change log and type “Converting” or “Convert” in the search bar to show any updates and changes related to that word. If the feature was added, you will see an entry with a link to additional information so you can start using this feature right away! Make sure to check the log on a regular basis to stay up to date. As an alternative, you can also subscribe to our Monthly Newsletter where we include a summary of the most important Teachworks features added each month.